DIY is made super-easy by Claire from Craft Schmaft! Her kits and patterns will have you making the cutest sock creatures & characters in no time at all. 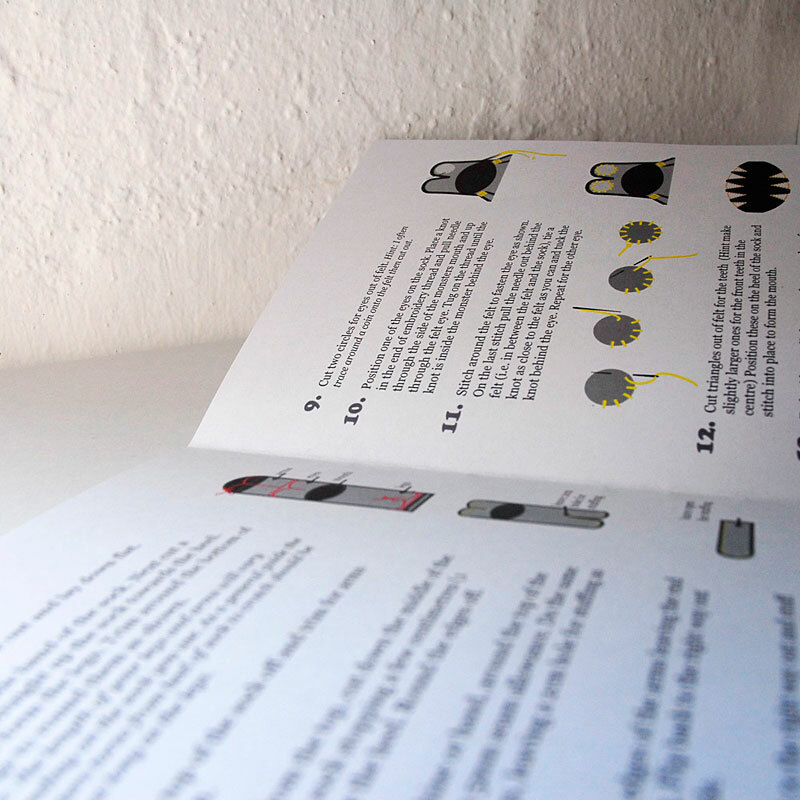 A complete kit to make your very own Sock Monster. Raaahhh! 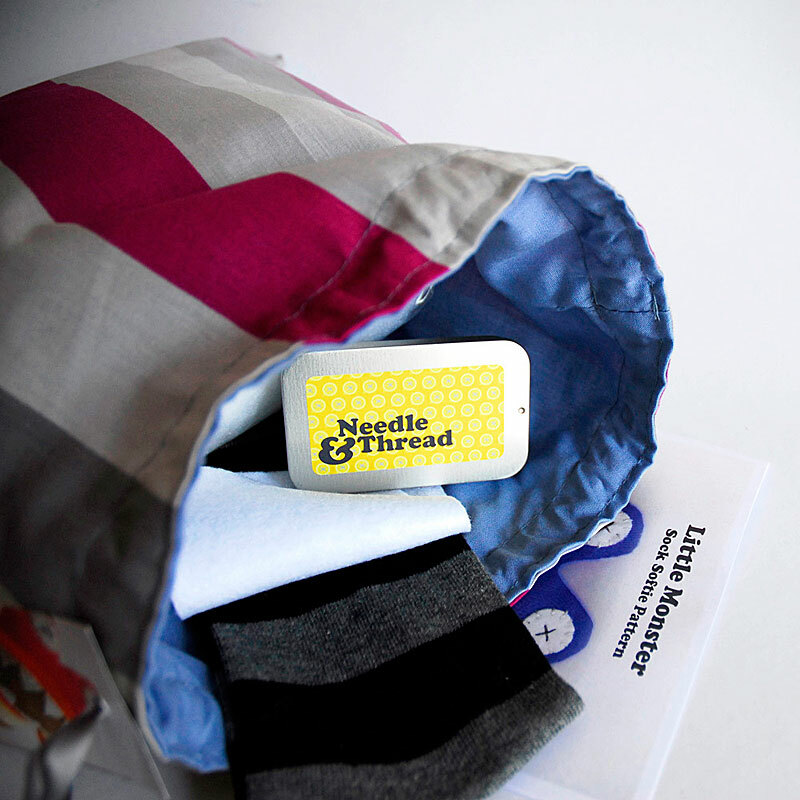 The kit contains the pattern, socks, stuffing, felt, needle and thread. It comes in a lined drawstring project bag with a needle and thread tin to keep all of your masterpiece in progress safe. The pattern, with step-by-step instructions, is easy to follow for experienced crafters and beginners alike. 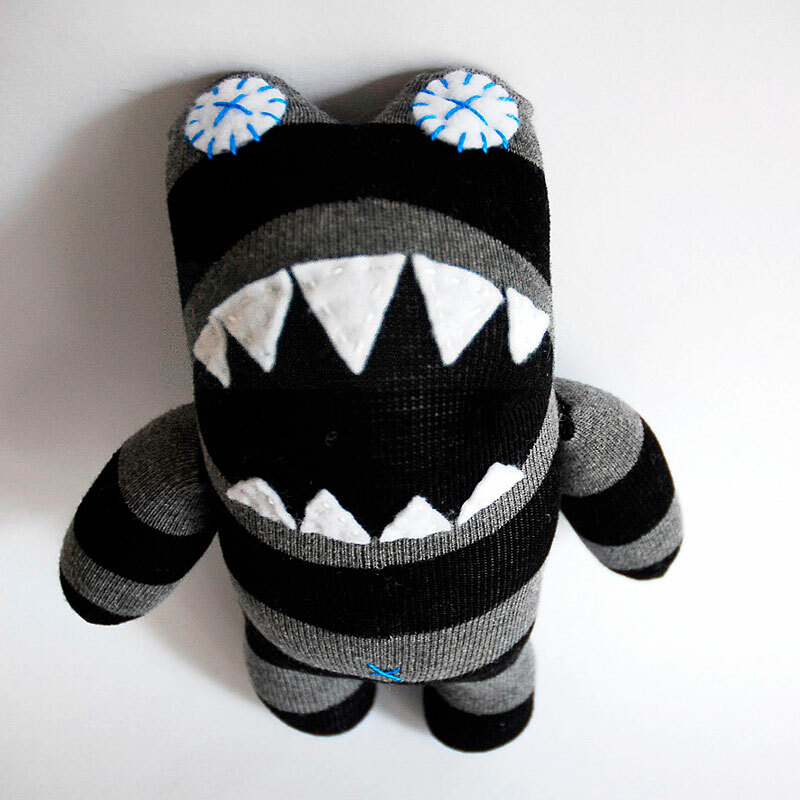 Sock toys can be hand or machine stitched. The finished items are soft, cuddly and baby friendly (no small parts or choking hazards).